Packaging everything from Qantas first class lounge access and 150,000 bonus Qantas Points at sign-up through to 20% extra status credits and 10% discounts on eligible Qantas flights, the new Qantas Premier Titanium Mastercard is surprisingly aimed not at frequent flyers, but at frequent buyers. With a $1,200 annual fee, Australia's highest points earning rate on domestic Mastercard spend (up to 1.25 Qantas Points per $1) and even more points awarded on overseas purchases, here's what the metal-cut Titanium card has to offer. * This includes Qantas flight bookings made directly with Qantas or selected travel agents, Qantas Club membership payments, buying Qantas flight vouchers, purchases from Qantas Wine and more, awarded in addition to the applicable everyday Australian earn rate. Interest rate on purchases: 19.99% p.a. Interest rate on cash advances: 21.99% p.a. 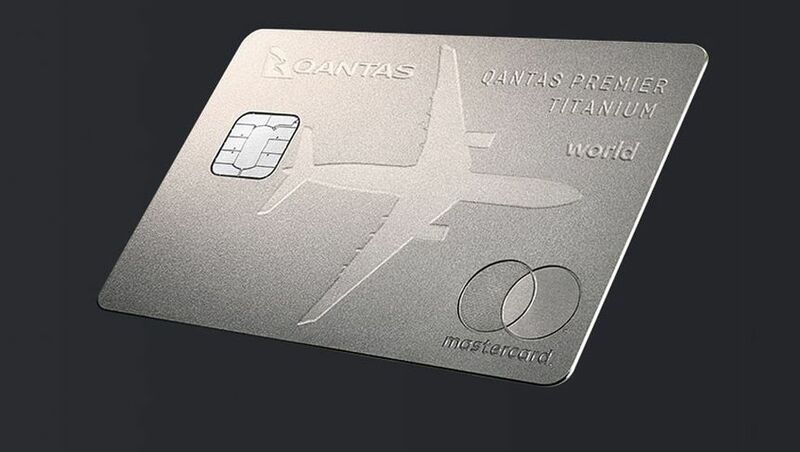 Qantas Premier Titanium Mastercard: who's it good for? Heavy spenders who want the simplicity of having only one credit card account for all their spend, earning a reasonable number of points on their purchases and with one annual fee to pay, rather than juggling multiple cards with multiple fees. Individuals who may also have an AMEX or Diners Club card but who regularly spend large sums of their own money in places where those other cards aren't accepted or are subject to a higher surcharge. 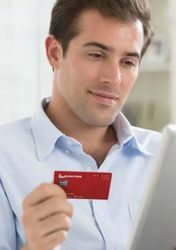 Travellers who regularly book Qantas flights using their personal credit card, given the potential to earn bonus status credits on those journeys while also earning the highest number of Qantas Points per dollar spent. Jetsetters who don't need an unlimited airport lounge membership or a Priority Pass card, because the business class tickets they usually book already provide lounge access, where the Qantas First Lounge passes would still be useful, and the twice-per-year flight discounts would contribute greatly towards offsetting the 'cost' of the annual fee. The card will be less-appealing to frequent business travellers who already have frequent flyer status or airport lounge access under their own steam, and who won't be in a position to earn bonus status credits on the bulk of their travels which are booked directly by their employer or its clients. With full points earned on domestic spends up to $12,500 per month, that translates into a potential annual spend of $150,000 within Australia – earning up to 187,500 Qantas Points – before points tiering applies, with all points earned on overseas transactions separate to that tally and being uncapped at 2/$1. However, with a $1,200 annual fee and an increasing number of points-earning cards now waiving international transaction fees entirely, it's disappointing that Qantas Premier Titanium cardholders will still be slugged a 3% fee on all overseas transactions, adding an extra $30 to your bill for every $1,000 spent abroad. Titanium cardholders don't earn any points on "government-related transactions", either: affecting not only payments to the ATO as we've come to expect, but also Australia Post, and for charges such as council rates, car registration, road tolls, street parking meters, government parking stations, public transport fares, fines, and court-related costs. "Transactions made in operating a business" via this card are also exempt from earning Qantas Points, so if you were planning to funnel your company expenditure through this card to maximise your points, think again. On the more pleasing side, the elevated earning rate on Qantas products and services makes the Titanium card the highest earner in Australia for those transactions, rewarding you with either 3.25 or 2.5 Qantas Points per dollar spent (that's your card's applicable domestic earn rate based on your other monthly spend, plus two extra points per dollar) on things like flight bookings, lounge memberships, eligible wine purchases and more. With regular domestic purchases also earning up to 1.25 Qantas Points per dollar spent, that puts the card on-par with competitors like the Qantas AMEX Ultimate Card (from mid-April) and the Qantas Diners Club card which both have the same earn rate (albeit uncapped), yet the Titanium card comes with the broader acceptance of Mastercard. On the airport lounge front, Qantas Premier Titanium cardholders receive two Qantas Club passes every year, each valid for a single visit to domestic Qantas Club lounges or most Qantas international business class lounges when travelling on an eligible flight: much the same as given on many Qantas-branded cards. 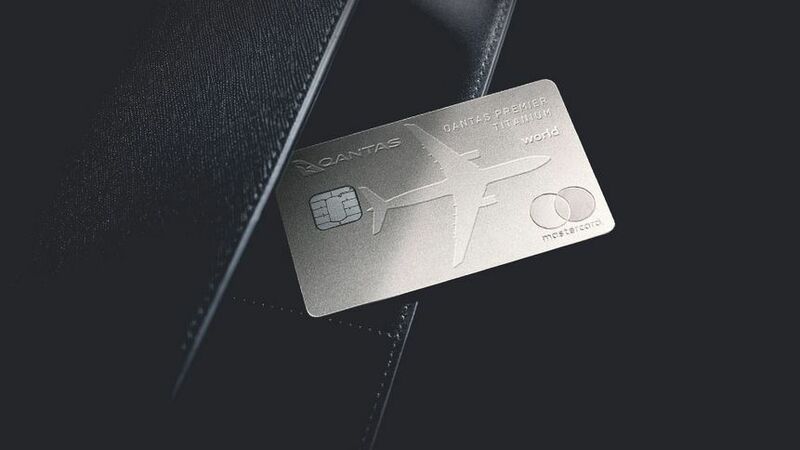 But beyond that, the Titanium card also provides two Qantas First Lounge passes every year – the only Australian credit card getting you through those frosted glass doors – with those passes usable in Sydney, Melbourne, Los Angeles, and from later this year, Singapore. That's a nice benefit to have, especially when you arrive early to make full use of the lounge's restaurant, spa (Sydney and Melbourne) and other amenities, although Qantas Premier Titanium is the only personal card in its price range that does not provide unlimited airport lounge access in one way or another: a perk you'd otherwise get with the $700/yr Citi Prestige Visa, the $1,450/yr AMEX Platinum Charge Card and even the $425/yr ANZ Frequent Flyer Black Visa. Given an annual Qantas Club membership normally costs $540 – being less than half the price of the Titanium card's $1,200 annual fee, which still doesn't include that unlimited membership – Qantas Premier customers would want to be getting plenty of value through the card's other perks to make that price tag justifiable. Until now, only the ANZ Frequent Flyer Black Visa allowed Australian shoppers to earn Qantas status credits on their spend – and even then, just as a one-off bonus of 75 status credits for eligible new customers – but the Qantas Premier Titanium card takes things further, offering 20% bonus status credits on Qantas flights booked with the card. There are a few catches to be mindful of, namely that the 20% bonus is only given to the credit card holder and not any other travellers on that booking, unless those travellers are also additional cardholders on the credit card account. Flights must also be "Qantas operated and marketed" to be eligible, which means booking a Qantas (QF) flight number on a Qantas aircraft (with a kangaroo on the tail). That excludes codeshare journeys booked on other airlines like Emirates, even if you select the Qantas (QF) flight number, as well as any Jetstar flights even when booked via Qantas. Any use of 'Points + Pay' will also make a booking ineligible to earn bonus status credits, and of course, as the bonus only applies to flights purchased using the Titanium card, most business travellers won't be earning any extra status credits on their work trips when their employer, a client or anybody else pays for the ticket directly. Titanium cardholders are also offered a 10% discount on airfares up to twice per year for up to two travellers per booking, valid across all Qantas and QantasLink domestic and international flights, all cabins, and all fare classes (including sale fares): encompassing everything from short domestic hops in economy to long international flights in business class, or even first class. Bookings must be made via the card's telephone concierge service, with the discount applying to the base fare only, not the total itinerary price, with taxes, fees, carrier charges and any credit card surcharges still levied in full. For example, a return Qantas business class flight from Sydney to London in September can currently be bought for $10,599 all-inclusive, of which $9,985 is the base fare and the remainder comprised of taxes, fees and charges, including a $70 credit card surcharge. With a 10% discount on the base fare, the saving is just shy of $1,000, bringing the total price down to $9,600 for the same booking when paying by card – and that's per person. Book two return trips for two people, and the $4,000-odd saving more than offsets the card's $1,200 annual fee, although if you're flying solo twice per year, the savings on comparable bookings would still exceed the annual charge. A range of insurance covers are available for eligible Qantas Premier Titanium cardholders, and are much the same as offered with the company's lower-tier Qantas Premier Platinum card, beginning with international travel insurance when charging the full cost of a return international flight to the card or paying at least $500 towards that expense, on trips of up to six months. Cover can also be extended when using Qantas Points to book the journey, but only when "redeeming Qantas Points earned on the Qantas Premier Titanium Credit Card" – so if some of your points were earned from flying, others from shopping and the remainder from your credit card, for example, that journey might not be covered. Purchase protection insurance, extended warranty cover, transport accident insurance, interstate flight inconvenience insurance and global hire car excess waiver cover are also included, as standard on most Platinum cards and above. All things considered, the Qantas Premier Titanium Mastercard is now the most expensive personal Mastercard in Australia, offering a high points earning rate in return – the highest, in fact, of any Visa or Mastercard in the market for everyday domestic purchases – plus a solid sign-up bonus to get your application across the line. 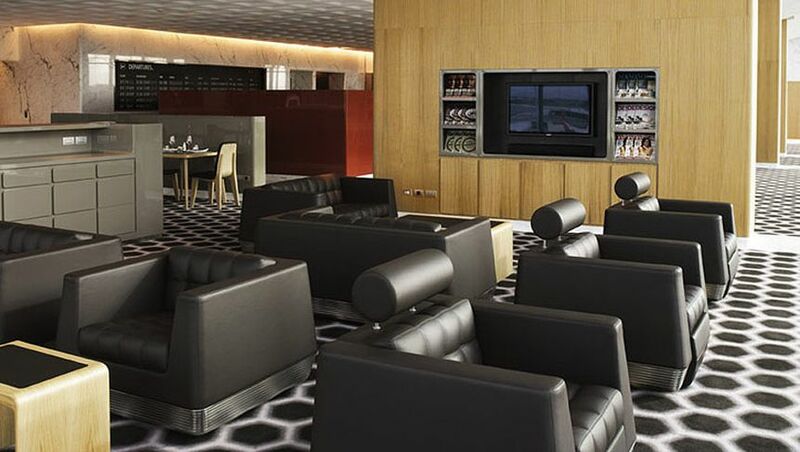 While it doesn't have the full suite of perks like unlimited airport lounge access or complimentary hotel status as offered by other cards at similar price points, the unique benefit of earning extra status credits on all Qantas flight bookings made via the card will appeal to many self-funded travellers, or those who can book work trips on their own credit card and claim reimbursement. The 10% airfare discount also has the potential to unlock substantial travel savings – especially for those purchasing long-distance flights in business class or first class – and the ability to earn 1.25 Qantas Points per $1 spent in Australia up to $12,500 per month will also prove rewarding for those making big purchases using Mastercard. Of course, this isn't a credit card for everybody, but at $1,200 per year, it's not really meant to be, nor can your average person even apply, given the card's $200,000/year minimum income requirement. Instead, it's tailored towards the top end of town, who might not travel much for work, but who have the means to explore the world in comfort and luxury in their own time: and it's those people who may consider the potential of substantial airfare savings to be a good return on their initial investment in the card's annual fee. Thanks for the explanation and details. Great review! Qantas has reallymissed the mark with this one. In an attempt to promote this card, loyalty spinner Olivia Wirth has been out trumpeting stories about individuals earning up to 30 million QFF points per year from spending. Yet this card, with the obscene cost of $1,200 per year, has a monthly cap of $12,500 for the normal points rate! While that seems like a lot, it is not much at all for the target demographic of this card. i will happily keep my st george amplify signature that comes free with the homeloan! I agree, they appear at first blush to have totally missed the mark, although maybe it's a demo at this price point that they will actually profit from; time will tell. Just like the American Airlines offer where they pair a card with unlimited (other than having to fly with them, of course) lounge access, I'm left wondering why Qantas (even to the detriment of people being able to fit into their lounges) hasn't chosen to plunder this market. I just completed a mid-year review of our last $1200 annual fee year with our Amex Platinum Charge card (with its free, accompanying Platinum Reserve credit card that attracts a separate $400 travel credit) and ascertained the dollar value of the benefits obtained have outstripped our fees by almost a grand already. Given this totally justifies its continued existence in our wallets (even with the next fee being the increased one), it looks like we will stick with that card and simply use Virgin domestically for lounge access when our two-year Qantas Club membership expires next month. I too just did a review of value/worth keeping my Amex Platinum Charge (+ free Plat Reserve Credit Card) after the MR changes coming up in April and it's a total no brainer to stay firmly put with Amex especially when you compare it to something like this new QF card. Well apparently the 20% bonus status credits doesn't apply when double status credits offers are on. Might as well donate $1200 to charity instead. Very poor offering from Qantas. I'm surprised that no Qantas club membership is included, given most applicants on $200k+ probably have earned it anyway. The fact that the 20% bonus status credits don't count towards life-time gold (LTG) or Platinum One is especially miserly. Epic fail card. Are they for real? 1. The 20% Status Credit Bonus can not be used concurrently with the Double Status Credit offer. 4. The 10% off only applies to the base fare and not Taxes, Credit Card Surcharges etc. 5. QANTAS still will not waive CC fees for use of the card like JetStar does for its Jetstar Card. If any one of 1,2,4 or 5 where features, I would be seriously considering it but now with this slap in the face, I think I might even go further and cancel my Premier Platinum. Hi Mitch, re: international transaction fees, there are now plenty of cards in the market that waive these, and many of those provide points, too. Among that roster, selected cards from ANZ, Bankwest, Coles (Flybuys - Velocity), GE Money and others, with Macquarie also eliminating all credit card international transaction fees from July 1 2019, including on the bank's Qantas-earning Platinum and Black cards. Except what you are missing is those cards have an effective 3% because of the exchange rate they use - there is not a single card in the market that takes the exchange rate of the day quoted by the reserve bank and just uses that. Chris just to add to my reply I am not suggesting at all that this is the best "rate" at all on foreign transactions. Point 1: Because one benefit should not stop you accessing another benefit for such a high tier card. Point 2: Not an all cards, below you say "Except what you are missing is those cards have an effective 3% because of the exchange rate they use". The card I have that has no FOREX fees uses the published MasterCard rate on the date it is settled. Why would I want another 3% fee on top of that rate? Point 4: No one does it so let's not do it either? Business has to innovate to beat the competition and this is a great start. I'm not saying it's not got good features, I'm saying it's not good enough value for the features on offer for the annual fee. If that is not the case for you, by all means, get the card. except the published MC rate is not the exchange rate - it has a build in fee. A point also that you are missing is the double Qantas points for foreign transactions which completely negates the 3% fee - example an $8000 spend with a 3% fee is $240, the double points gives an extra 8000 qantas points over the standard (and in fact other cards have all reduced to 1 pt or less per $) 8000 Qantas points is the equivalent of a trip to Melbourne from Sydney which during a weekday has an average $$ cost of $244. When you look at the benefits in isolation with a full understanding I can see why you might question them but that's not how Qantas have structured this. I am not sure how some say this is an epic fail ..... the points for signing up alone cover the fee for the first 5 years based on an international return flight to the USA. Or alternatively cancel after 12 months and you are well ahead on this. If Qantas had a business class sale tomorrow for a return to Dallas or LAX for $1200 with First Class lounge access before departure it would be seen as the deal of the century ..... and that essentially is a simple way of looking at it. 150,000 bonus Qantas Points for eligible new Qantas Premier customers who apply by April 30 2019. No everyone is eligible for the points. For those who are new cardholders, it might not be an epic fail, for others who are previous card holders, well maybe some might view it as a fail. For me the annual fee outweigh the benefits. Comment on "Qantas Premier Titanium Mastercard"